Mutual funds are one of the best investment options for the long-term wealth generation. However, the biggest problem is to identify best mutual fund for the investment. There are thousands of mutual funds which make the task of investor difficult when it comes to actual investment. Which one is the best mutual fund for investment? Have I selected the right mutual fund? These are the most common questions asked by the investors. It is difficult to answer these questions because risk profile, investment horizon, objectives are different. Apart from this, there are multiple other factors that affect selection of mutual fund. One such factor is a performance of the fund. In this post, I will share information about factors you need to consider for the selection of mutual funds. 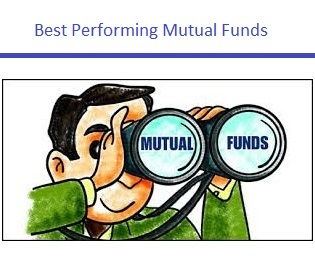 I will also share information about Best performing Mutual Funds India last five years. The past performance history of the scheme is an important factor for the selection of mutual fund. You need to at least consider 3-5 year tenure of the fund while evaluating part performance. Another factor is investment objective and category of fund. The objective of a fund should meet your investment objective and risk profile. The expense ratio is one of the important factors that affect mutual funds return. Higher the expense ratio means a lower return. You should select a fund with low expense ratio. A Fund manager is a person who makes the decision about buying, selling, or holding the stock in the mutual funds. The returns of the fund depend on the decision taken by the fund manager and its expertise. If you want to reduce tax burden you need to select ELSS (Equity Link Saving Scheme). However, ELSS comes with a lock-in period of 3 years. You should also check rating of the fund. You should select fund with higher CRISIL ranking 4 Star or above. Below is the list of best equity-based mutual funds in India with good performance history (last 5 years). Note – Above details is as of Sept-2017. However, you also need to keep in mind that past performance does not guarantee the future performance. So, you need to be careful in the selection of mutual funds.